Bob Walker, president of Walker Manufacturing Co. in Fort Collins. Terry Precht worries that if he has to keep raising his prices, he may have to cease operations at Vergent Products Inc. in Loveland. Precht, president of Vergent Products, expects to see his material costs increase, mainly from tariffs imposed by China, resulting in a price increase he eventually will have to pass on to his customers. 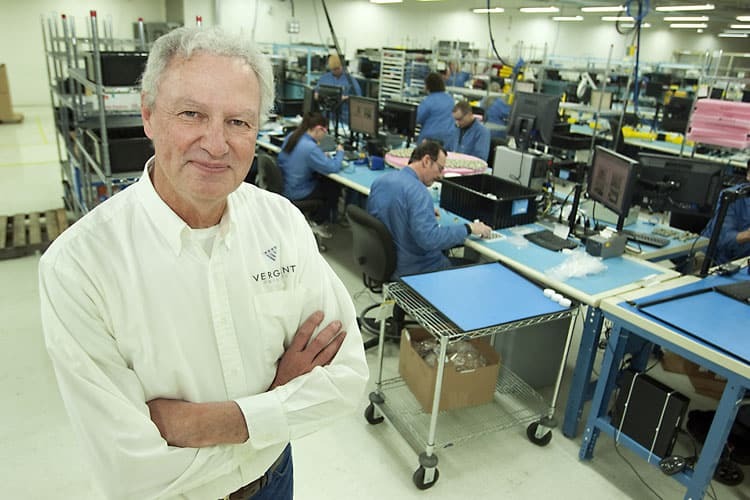 Vergent Products relies heavily on electronic components — 60 percent of the product cost comes from parts — to manufacture electronic systems for customers worldwide. Precht is not alone as Northern Colorado manufacturers worry about the impact tariffs and countermeasures will have on their bottom line — they may have to increase prices, reduce availability of their goods and services, and make cuts in employment. Beginning in March, the Trump administration rolled out tariffs on imported products, including steel and aluminum, pushing for more protective measures of U.S. industries. China, Canada, Mexico and European countries responded with retaliatory tariffs on hundreds of imported U.S. goods, many of which are steel, aluminum and agricultural products. Several industries are affected from auto, aerospace and agriculture to manufacturing, construction, landscaping and even printers using newsprint. One of the first to be affected is agriculture, said Troy Schneider, a corn and wheat grower from Joes, Colo., and vice president of the Colorado Corn Administrative Committee and member of the U.S. Grains Council. Growers also face tariffs on their end products, such as fertilizer and farm equipment, and a decrease in trade, driving down the price of the products they send to market, Schneider said. Since May, corn dropped 40 to 60 cents a bushel from the tariffs and other factors, he said. “We’re affected on both ends on our inputs and the sale of our products, too,” Schneider said. Precht also expects product sales to be affected. He received notification from his parts suppliers to expect price increases but not specifically when, he said. Once he receives that notice, his customers will see a higher price within 30 days because of his turnaround rate, he said. “It’s going to be fairly fast,” he said. Precht worries that once he raises prices, his customers will do one of two things, either order less or find another supplier who doesn’t have to pay a tariff. Some manufacturers purchased as much material as they could in anticipation of the retaliatory tariffs, though smaller companies cannot invest in significant amounts of inventory, Precht said. Vergent Products stocks up in advance on its supplies to address the lag time from order to receipt, which is nearly one year in his business, he said. Noffsinger Manufacturing Co. in Greeley responded by buying up an extra supply of steel, the main component of the conveyor belts it produces, said Dean Herl, chief executive officer of Noffsinger, a manufacturer of conveyance products for root crops. 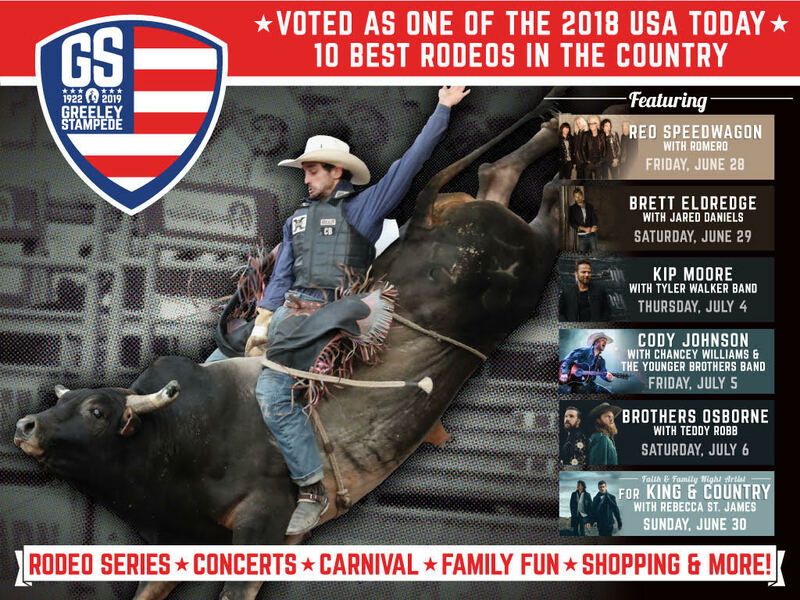 Noffsinger regularly purchases steel several months ahead from a Pueblo steel mill, plus a few alternative sources, and in October 2017 purchased enough to last eight months. The company again purchased steel early this year to last through December. The next purchase will be early in the fourth quarter of 2018 for 2019 deliveries, Herl said. Herl made the advance purchases after seeing the price of domestically produced steel increase by 40 percent since fall 2017, but he also believes the price will settle, he said. Canada imposed a 25 percent retaliatory tariff in early July 2018, not helping matters, he said. 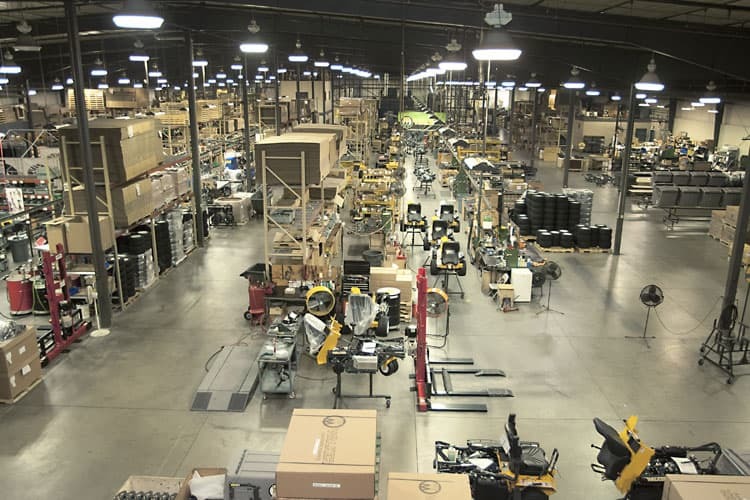 Walker Manufacturing Co., a producer of commercial mowers in Fort Collins, is affected by tariffs on lawn and garden equipment from its sale of products in Canada. 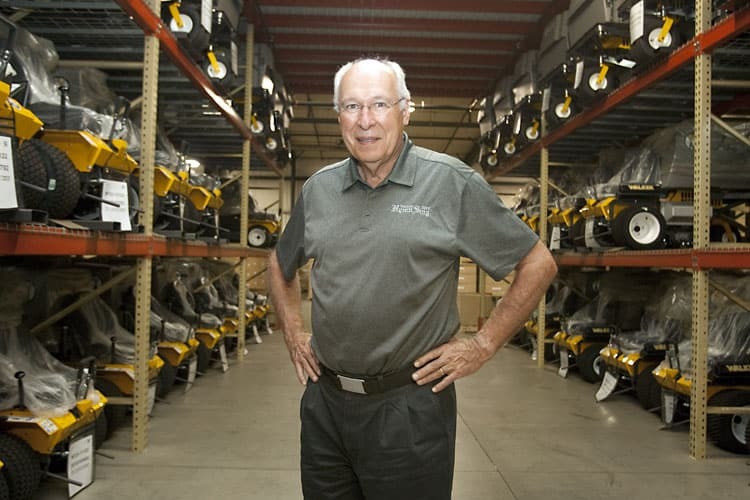 Before the tariffs went into effect earlier this year, Bob Walker, owner and president of Walker Manufacturing, saw a temporary surge in business, but now expects sales to slow down in response to the Canadian tariffs, though it is too early to say for certain, he said. Canada is a smaller market of about 5 percent in a business that exports 25 to 30 percent of its total output, but a loss there will hurt overall sales, he said. “Those machines are expensive. If you add a tariff, it pushes up the price,” Walker said, adding that he has seen an increase of 20 percent in the price of steel, mainly due to tariffs. Some of the components of the machines Walker Manufacturing builds include parts that have content from China that the company purchases from a U.S. company, Walker said. The company has raised prices, but the three components with those increases, including belt drives, will not significantly affect the overall price of the machines, which have a thousand parts, Walker said. Walker hasn’t had to raise prices yet, but if he does, customers may respond by waiting to purchase and making due with older equipment, he said. The company reviews prices every September and expects to do the same this year, instead of employing a mid-year price increase, he said. Advance Tank & Construction Co has had to pass on the cost of tariffs to customers wanting tanks to be built, said Jim Clay, president of the Wellington-based company. The company, which fabricates and constructs large diameter storage tanks, has seen an increase in the cost of raw steel material, used for parts such as plates, beams and bars, Clay said. The cost of steel plates, for instance, increased 75 to 100 percent, he said. In the last couple of months, Clay has seen a slight slowdown in projects, with some customers opting to hold off on projects in anticipation of prices lowering again, he said. “The construction side of our business is always up and down a little bit,” Clay said, adding that in response, the company cut 60 to 70 of its staff in the last two to three months and now is at 350. Lehman Printing Center in Berthoud has had to increase prices to its commercial customers but not on its newsprint as a result of Canadian paper tariffs, said Randy Sannes, production director at the printing center. The printing press does not buy paper from Canada but from U.S. paper mills that had to increase production and subsequently raised their prices by 20 percent in the last six months, he said. Co’s BMW Center has not had to increase prices of the vehicles it sells as a result of the steel tariffs, said Marissa Banninga, marketing manager of the Loveland car dealership.